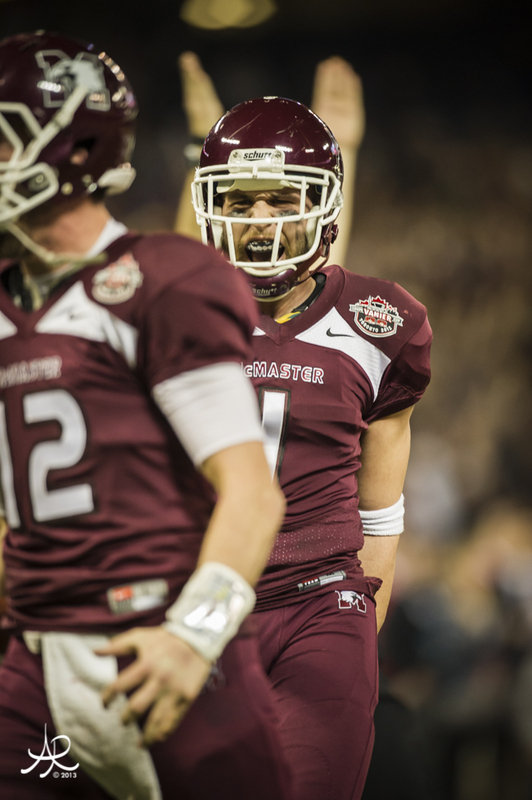 McMaster Marauders, ranked No. 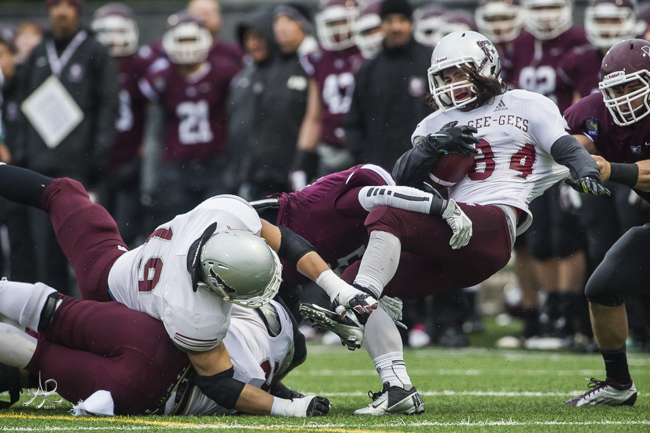 8 in the nation, dumped the Ottawa Gee-Gees, 41-7, on a rain-soaked Ron Joyce Stadium Saturday (Oct. 26) and advance to Ontario University Athletics semi-final play next week. 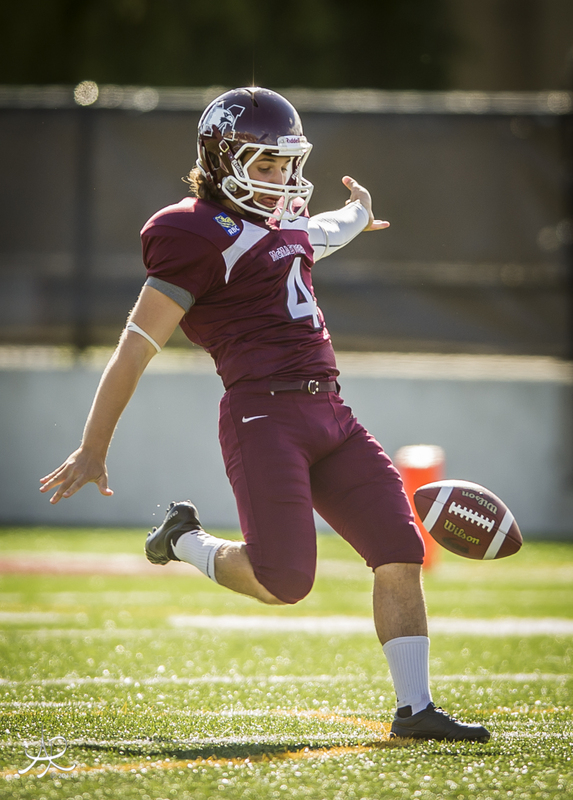 McMaster quarterback Marshall Ferguson (Kingston) tossed two touchdowns and ran for another while Wayne Moore (Etobicoke) rushed for 140 yards on 22 carries in the win. 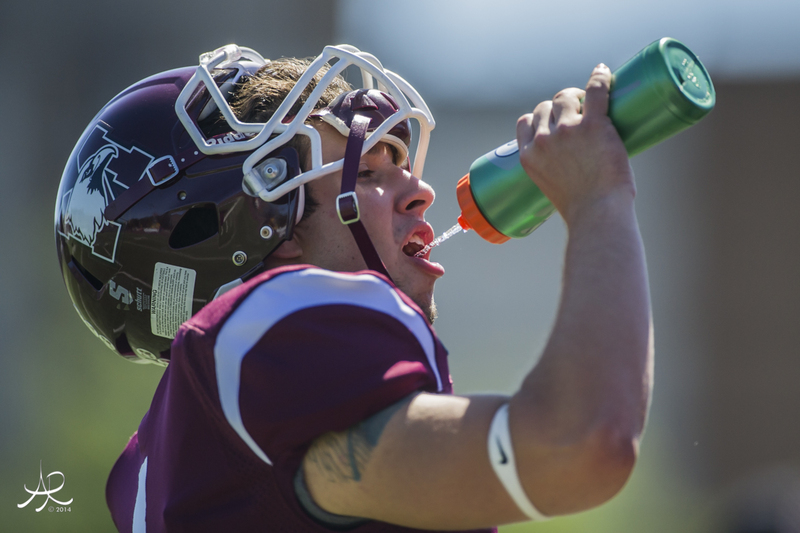 McMaster’s defence and special teams also chipped in two touchdowns with Jeremy Kyei (Hamilton) recovering a Gee-Gee fumble on a bad punt-snap while Steven Ventresca (Hamilton) intercepted Aaron Colbon (Ottawa) for a touchdown. 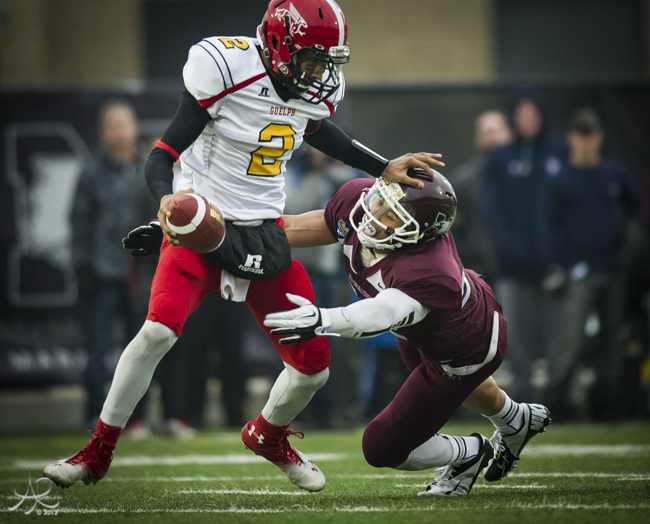 With the Guelph Gryphons beating the Windsor Lancers, 31-21, on Saturday, McMaster will meet the Western Mustangs in London, at TD Stadium, 4:30 p.m., kickoff. The semi-final game will air nationally on Sportsnet360. 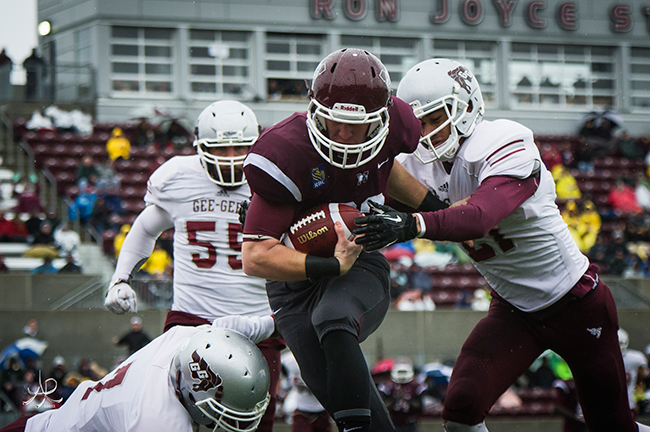 McMaster scored on its first two drives of the game to build a 14-0 lead which would be all the offence needed. 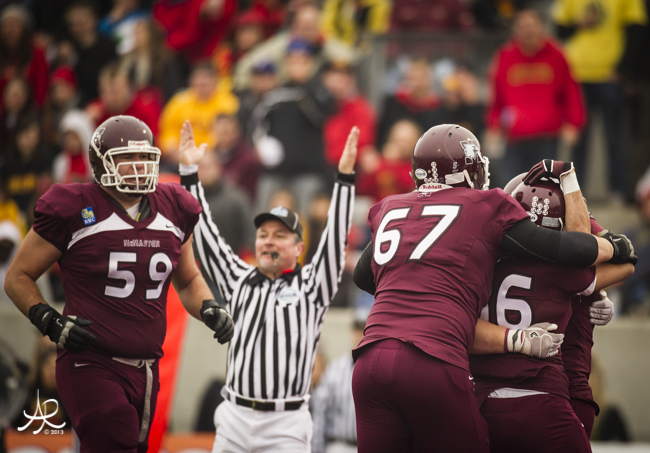 On McMaster’s next possession, Ferguson tossed a 21-yard pass to Daniel Vandervoot (Barrie) to finish another nine play drive, this time for 79-yards. Ottawa’s Aaron Colbon closed his Canadian Interuniversity Sport career throwing for 181-yards, going 17-for-39 and no interceptions. The Gee-Gee’s lone points came on two conceded safeties and a 28-yard field goal kicked by Ward Lewis (Kingston). 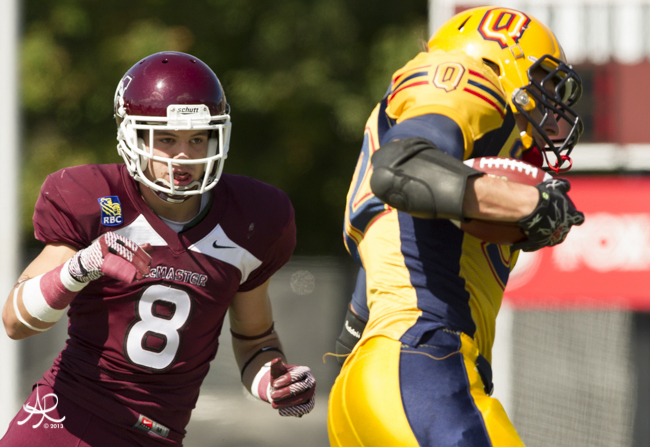 McMaster’s other touchdown was on a 27-yard pass from Ferguson to Ben O’Connor (Kingston). NOTES: McMaster’s defence has not allowed an offensive touchdown in the last 17 quarters of play… The Gryphons were the last team to score a touchdown against McMaster which happened on Sept. 21 at Guelph… The entire McMaster defence was named player of the game. 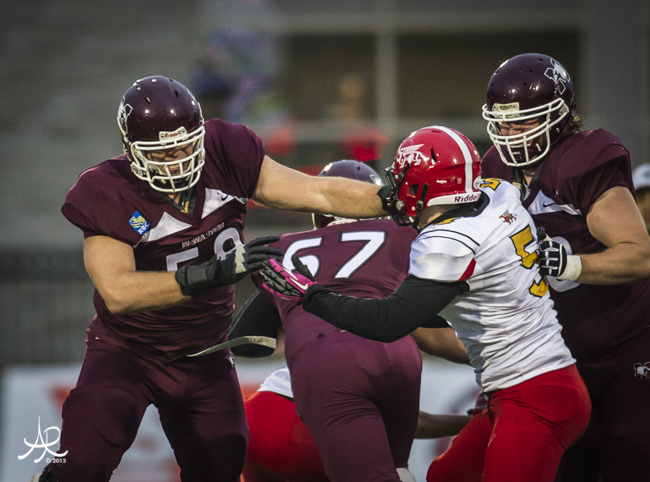 A unique opportunity has prompted All-Canadian Matt Sewell to put his pro football career on hold and will return him to McMaster’s Ron Joyce Stadium as a Marauder for the 2013 Ontario University Athletic season. Having just completed his Bachelor of Commerce degree, Sewell received his final grades this past week and discovered he had the one-time option of applying to pursue an accelerated Master of Business Administration (MBA) degree from the DeGroote School of Business. In a media release issued by the Canadian Football League Toronto Argos, who drafted Sewell eighth overall in the 2013 CFL Draft, the Milton native made the following statement. 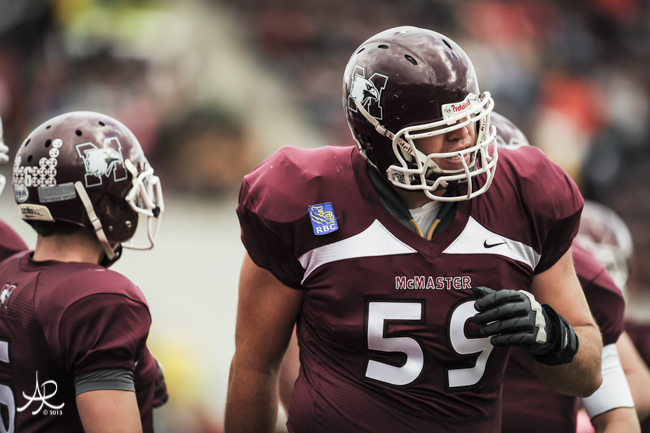 Sewell’s return to the McMaster line-up is a huge bonus for the Marauders. 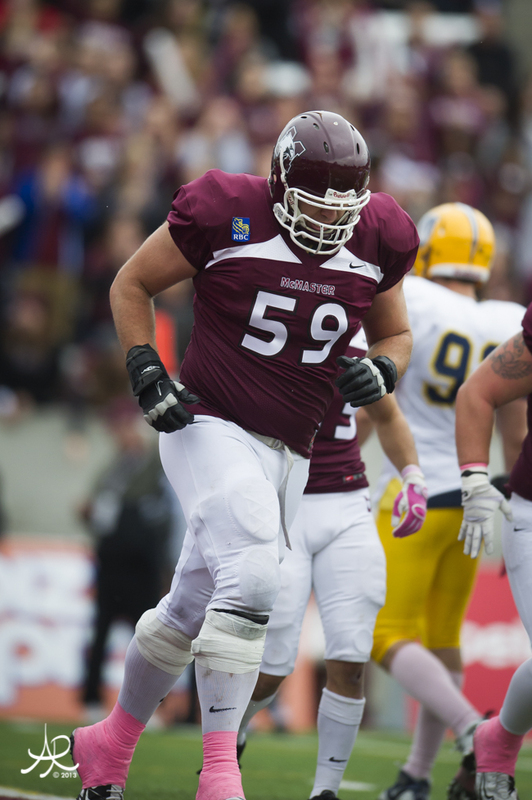 He has been a starter since arriving on campus and is a four-time OUA All-Star at offensive tackle, and McMaster head coach Stefan Ptaszek knows Sewell’s presence will make the team better. Started at left tackle for every game of his four-year varsity career, missing only the season opener in 2011 while recovering from a wrist injury suffered in training camp. 2011- Played 11 games, 6-1 in regular season and 4-0 in playoffs, named OUA first-team all-star and CIS second-team all-Canadian. 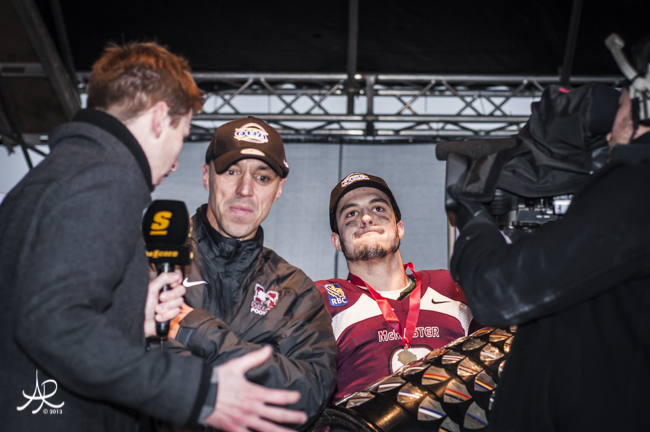 Yates Cup (OUA) and Vanier Cup (CIS) Champions. 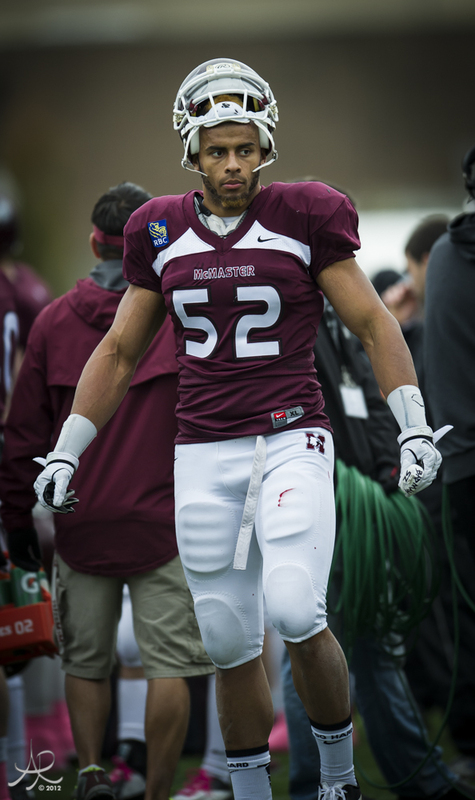 2012- Played 12 games, 8-0 in regular season and 3-1 in playoffs, named OUA first-team all-star and CIS second-team all-Canadian. 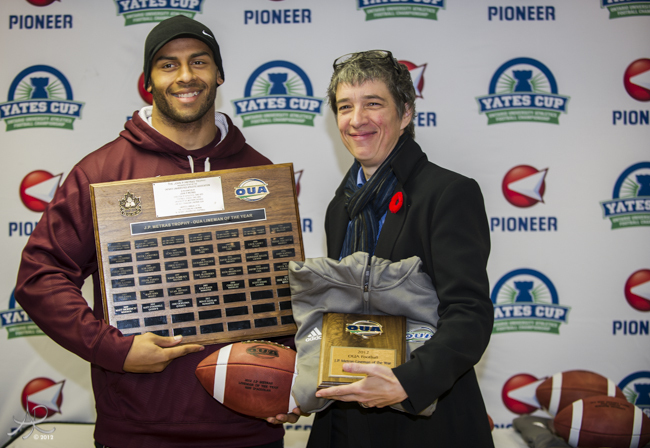 Yates Cup (OUA) Champions and Vanier Cup (CIS) finalists. 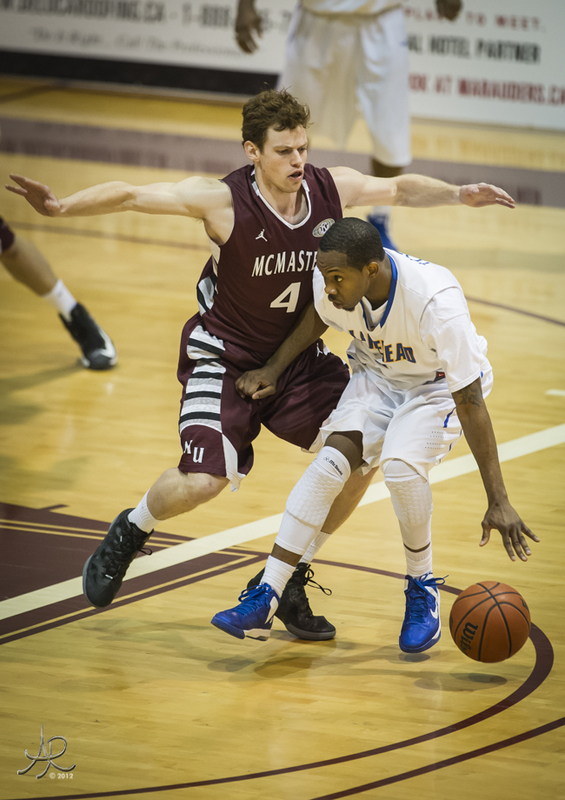 In games Matt started, McMaster had overall record of 35 and 8 – 26 and 5 in regular season and 9 and 3 in playoffs. 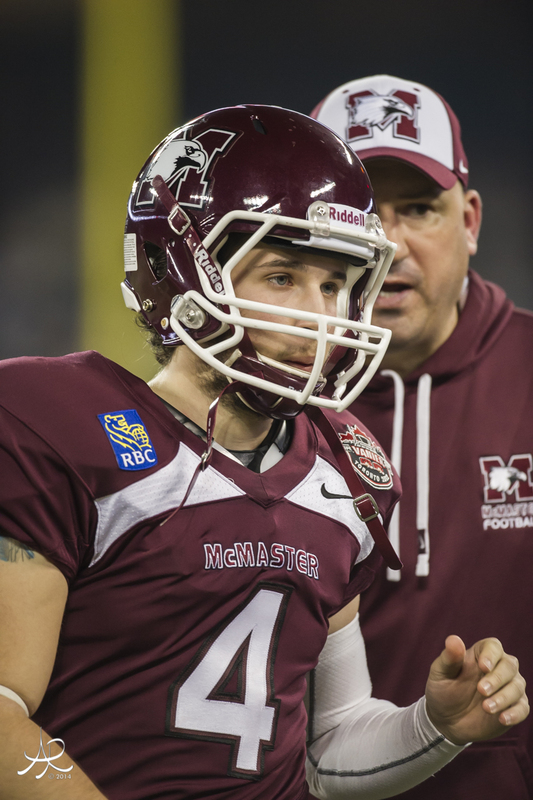 McMaster Marauders’ defensive back Mike Daly has been signed by the Hamilton Tiger-Cats of the Canadian Football League. 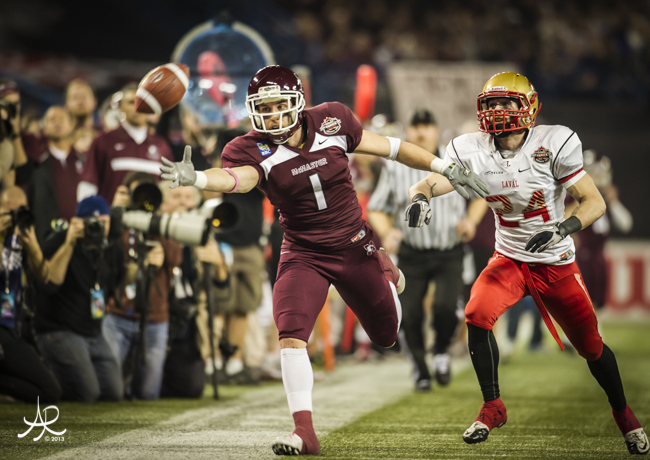 The native of Kitchener was the first selection in the sixth round (45th overall) of the 2013 CFL Draft on May 6. 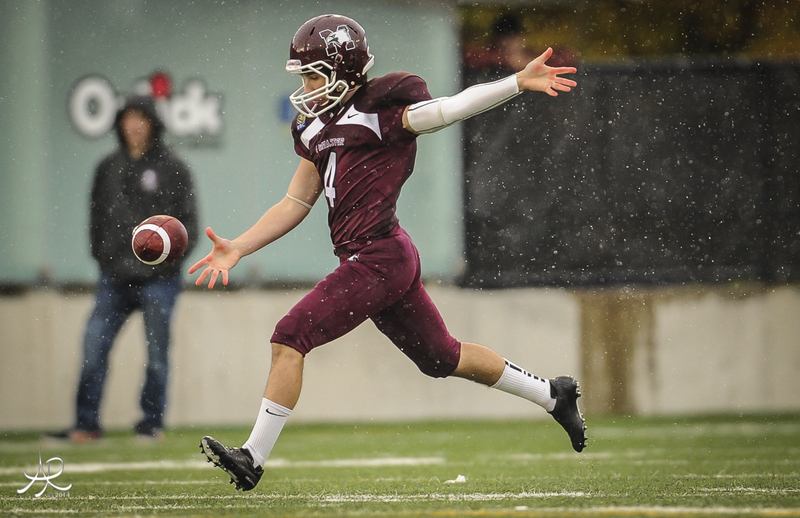 The signing ensures that Daly will be in the mix when the Tiger-Cats’ rookie training sessions get underway on Wednesday (May 29). He and other Ticats rookies will have three days of practice before Hamilton’s full training camp which begins on Sunday (June 2) at McMaster’s Ron Joyce Stadium. 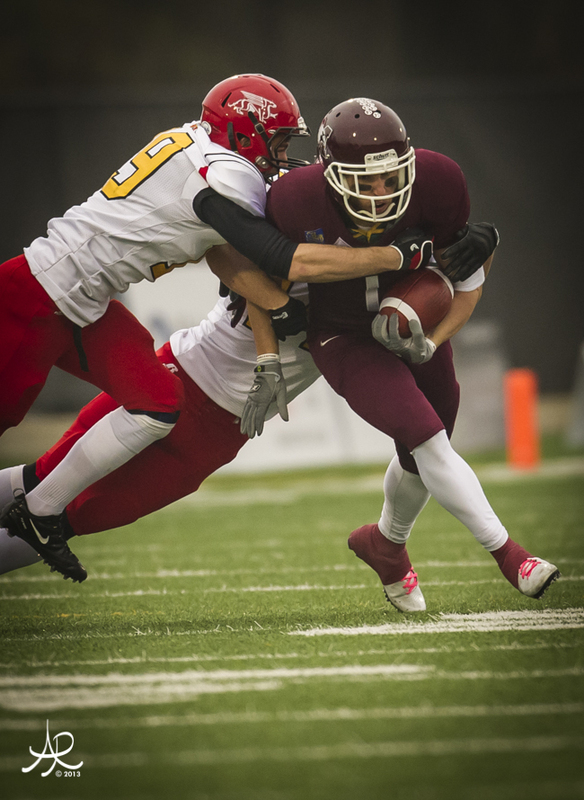 Daly was recognized as a Second-Team All-Canadian in 2012, and has twice been named as an Ontario University Athletics All-Star in four seasons with the Marauders. Congratulations Mike Daly on all your football career accomplishments and I'm sure many more to come! 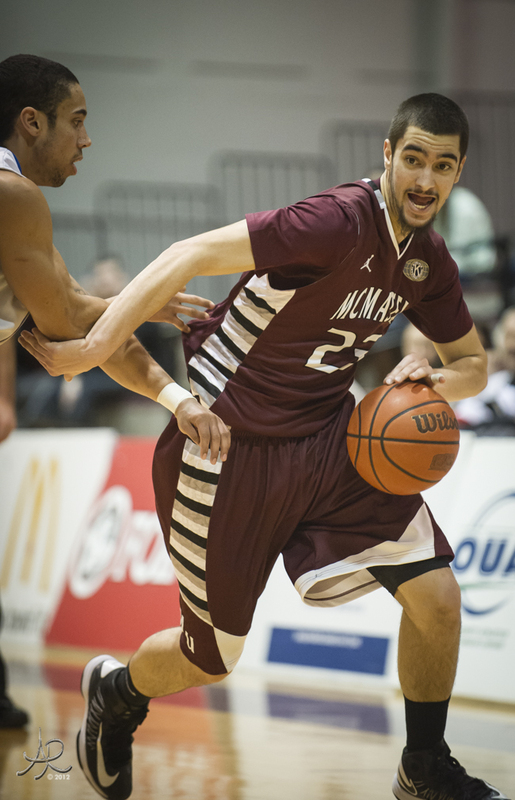 It didn’t hold the same stakes as the previous night, but the McMaster men’s basketball team showed some pride with a 92-82 victory over visiting Lakehead Saturday night (Feb. 15) in Hamilton. Prior to the game, the McMaster staff honoured the graduating seniors from this year’s team: Kyle Chevalier, Nathan Pelech and Scott Laws. 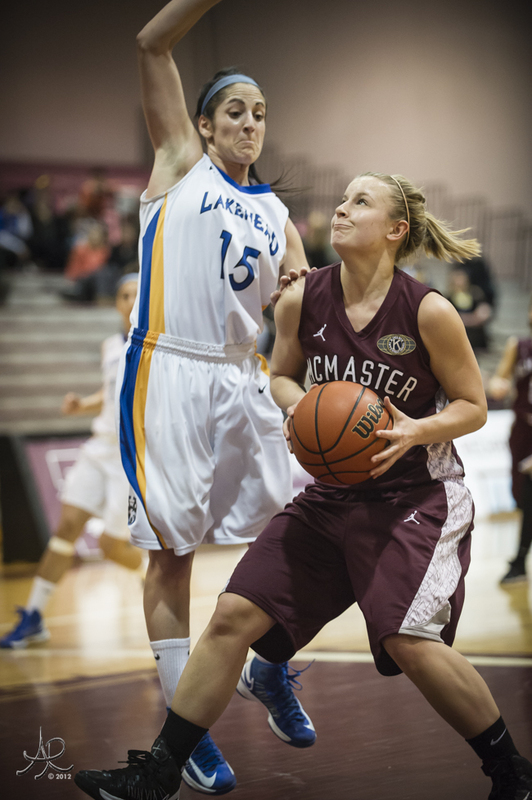 With both teams locked into their respective spots in the Ontario University Athletics West standings, McMaster could only try to end its seven-game losing streak against Lakehead in conference play going back to 2010. On this night, it was Lakehead which scored two quick hoops to get an early lead, but Mac evened things up and the teams played even, until a late surge by the Marauders saw the quarter end with Mac on top 28-18. Both coaches went deeper into their bench players than they might normally, preferring to save wear and tear on the starters with the post-season looming. McMaster carried the momentum to start the second quarter and built the lead up to 16 (41-25) on a trey from Adam Presutti. Following a timeout by Lakehead, the Wolves began to claw back, and at the half they had shaved the Maroon advantage down to 45-38. Like the previous night, Lakehead looked to assume control to start the second half and went on a 10-2 run to grab the lead at 48-47. McMaster responded though and came up with a run of its own so that by the end of the third quarter, the lead was 62-53 with 10 minutes left in the game. The fourth quarter became a battle of attrition as both teams were whistled for numerous fouls. The Wolves closed to within six, but Presutti hit a timely three-pointer to bump the margin back to nine. With time running out, Lakehead looked to its defense to force some turnovers but some over-aggressive play put McMaster at the charity stripe and the Marauders made their free throws to close out the win. McMaster’s Aaron Redpath was player of the game, scoring 20 points McMaster was led by BIG MAC player of the game Aaron Redpath, who scored 20 points on 5 of 6 shooting from the floor and 9 of 10 from the stripe. Adam Presutti scored 15 points, while Taylor Black with 11 and Nate Pelech with 10 also hit double figures. Top Lakehead shooter was Joey Nitychoruk, who finished with 18. 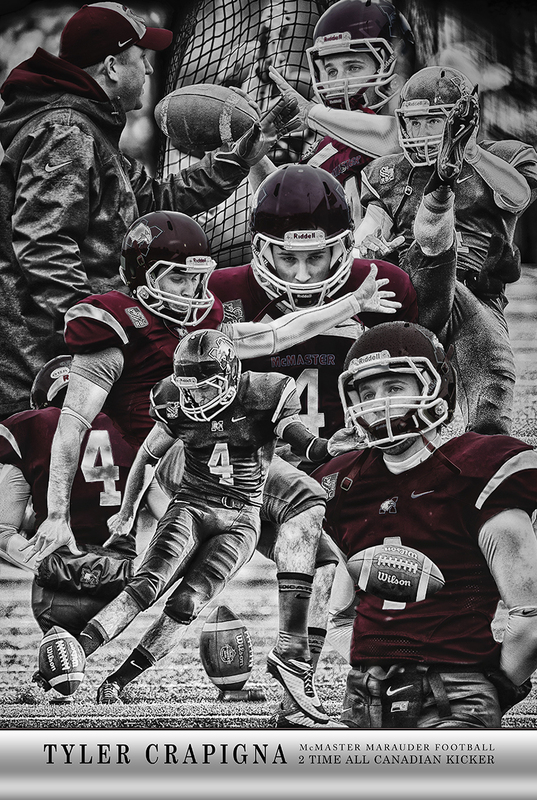 McMaster finishes OUA play with a 13-8 record and enters the playoffs as the third-seed in the West division. The Marauders will host the Waterloo Warriors on Wednesday (Feb. 20) in a division quarter-final. Tip-off will be at 8 p.m. 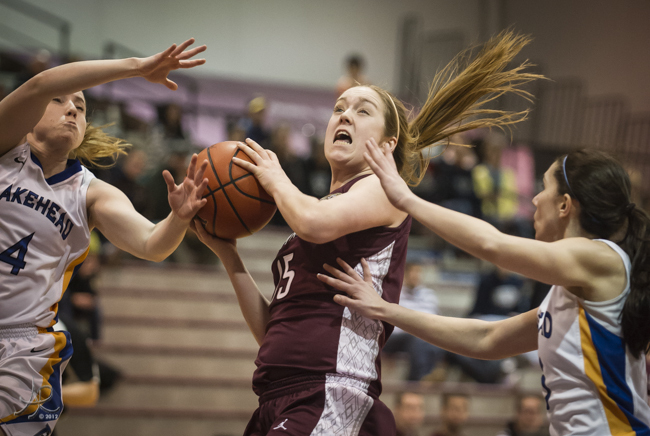 The McMaster women’s basketball team rode some tenacious second-half defense to an 87-71 victory over visiting Lakehead on Saturday night (Feb. 16) and as a result moved up to third-place in Ontario University Athletics West division. Both teams had something at stake as McMaster was looking to improve in the standings, while Lakehead had to win to make the post-season after Guelph beat Waterloo earlier in the day. The Thunderwolves wanted to shut down Marauder post Hailey Milligan, who has been a point and rebound machine for the past two months. The first quarter was see-saw as Lakehead collapsed on Milligan, forcing Mac to get scoring elsewhere. After one quarter the Marauders held a 22-21 lead. The second quarter saw Lakehead heat up from the perimeter, and with the Marauders having a hard time finding their top scoring option, the ’Wolves went up 50-39 late in the half. But Mac guard Vanessa Bonomo drained two three-point shots in the last 20 seconds to reduce the deficit to only five at intermission and re-take the momentum. Lakehead had made 8 of 15 from beyond the arc in the first half to grab the advantage. Giving up 50 points in a half put the Marauders in a bad mood entering the third quarter, and the team responded by going on a 14-0 run to grab a nine point lead. 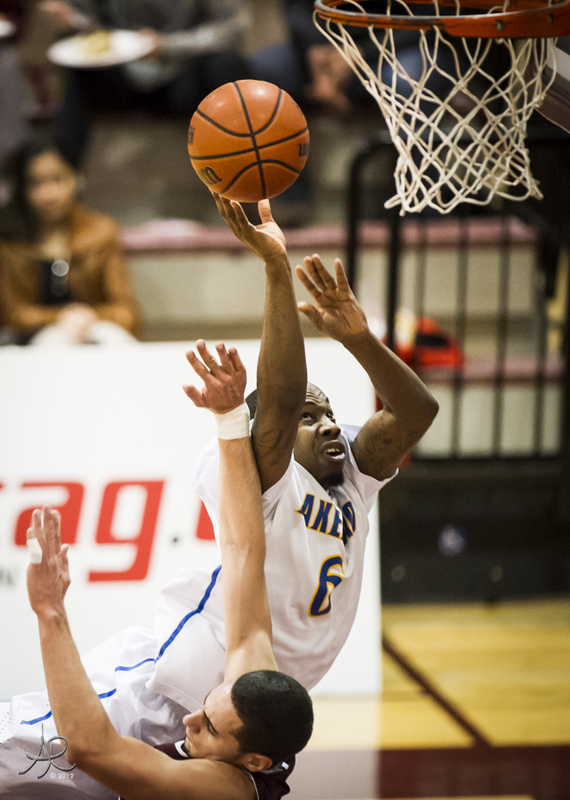 With its season the line, Lakehead refused to quit and cut the deficit to 68-64 at the end of the third. The fourth quarter saw the Marauder defense take control. Outscoring Lakehead 16-0 over the first four minutes of the period built the lead up to 20, and the Thunderwolves had no answer. 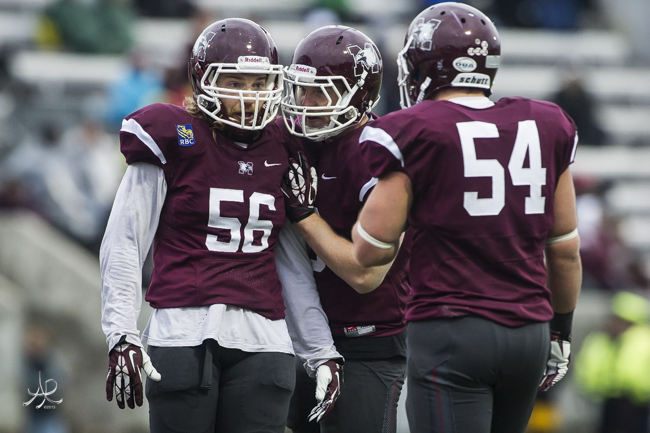 McMaster allowed just seven points and only one field goal in the final quarter to bring home the win and knock Lakehead out of the playoffs. Top shooter and BIG MAC player of the game for McMaster was Milligan, who got on track in the second half and finished with 24 points and 11 rebounds for her 11th consecutive double-double game. Bonomo also registered a double-double with 20 points and 12 assists, while Danielle Boiago with 19 and Liz Burns with 11 scored in double digits. Lakehead’s top scorer was Carolyn Fragale with 18 in her final CIS game. 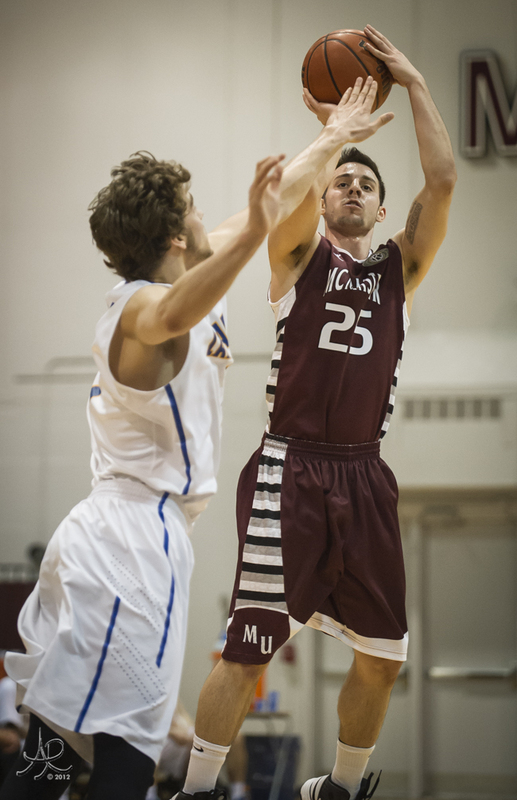 The win improves the McMaster record to 12-9 and advances them to third in the standings. The Marauders will now host the No. 6 seed, Guelph Gryphons, on Wednesday, Feb. (20) in a division quarter-final, slated to tip off at 6 p.m.